Love is a commitment to protecting another person’s heart. 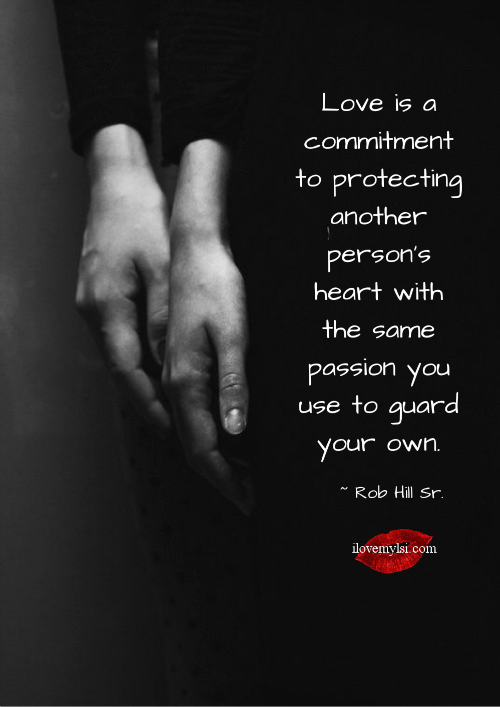 Love is a commitment to protecting another person’s heart with the same passion you use to guard your own. ~ Rob Hill Sr.